In the past, I’ve admitted to macroeconomics being one of my dark, guilty pleasures. To some “value” investors this seems like heresy, as Marty Whitman¹ once wrote, “Graham and Dodd view macro factors . . . as crucial to the analysis of a corporate security. Value investors, however, believe that macro factors are irrelevant.” I am clearly a Graham and Doddite on this measure (and most others as well). I view understanding the macro backdrop (N.B. not predicting it, as Ben Graham said, “Analysis of the future should be penetrating rather than prophetic.”) as one of the core elements of risk management. ¹. Martin J. Whitman, Value Investing: A Balanced Approach, John Wiley & Sons, 1999. Last week I looked at James Montier’s 2006 paper The Little Note That Beats The Market and his view that investors would struggle to implement the Magic Formula strategy for behavioral reasons, a view borne out by Greenblatt’s own research. This is not a criticism of the strategy, which is tractable and implementable, but an observation on how pernicious our cognitive biases are. Greenblatt found that a compilation of all the “professionally managed” – read “systematic, automatic (hydromatic)” – accounts earned 84.1 percent over two years against the S&P 500 (up 62.7 percent). A compilation of “self-managed” accounts (the humans) over the same period showed a cumulative return of 59.4 percent, losing to the market by 20 percent, and to the machines by almost 25 percent. So the humans took this unmessupable system and messed it up. As predicted by Montier and Greenblatt. Greenblatt, perhaps dismayed at the fact that he dragged the horses all the way to the water to find they still wouldn’t drink, has a new idea: value-weighted indexing (not to be confused with the academic term for market capitalization-weighting, which is, confusingly, also called value weighting). Most investors, pro’s included, can’t beat the index. Therefore, buying an index fund is better than messing it up yourself or getting an active manager to mess it up for you. The value weighted index knocked out a CAGR of 16.1 percent per year over the last 20 years. Not bad. Greenblatt explains his rationale in some depth in his latest book The Big Secret. The book has taken some heavy criticism on Amazon – average review is 3.2 out of 5 as of now – most of which I think is unwarranted (for example, “Like many others here, I do not exactly understand the reason for this book’s existence.”). I’m going to take a close look at the value-weighted index this week. Yesterday I looked at James Montier’s 2006 paper The Little Note That Beats The Market and his view that investors would struggle to implement the Magic Formula strategy for behavioral reasons. 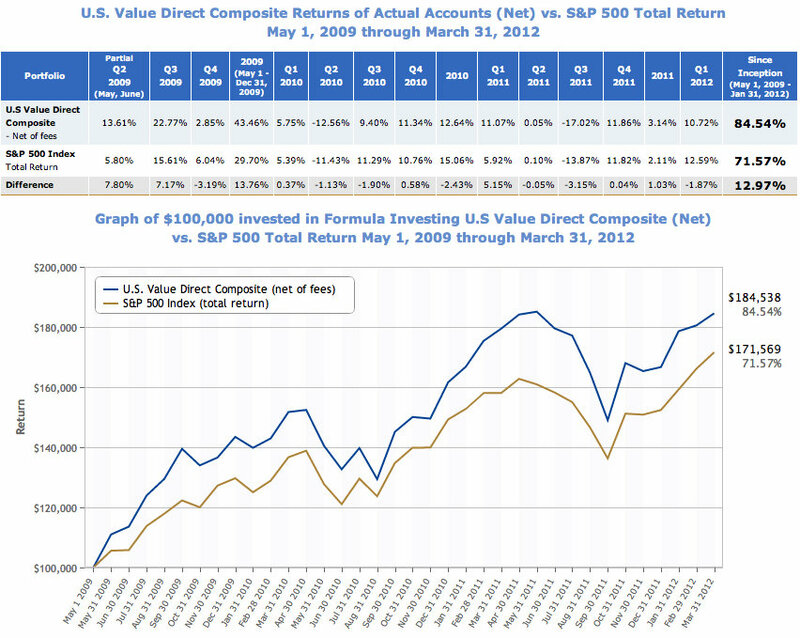 Formula Investing provides two choices for retail clients to invest in U.S. stocks, either through what we call a “self-managed” account or through a “professionally managed” account. A self-managed account allows clients to make a number of their own choices about which top ranked stocks to buy or sell and when to make these trades. Professionally managed accounts follow a systematic process that buys and sells top ranked stocks with trades scheduled at predetermined intervals. 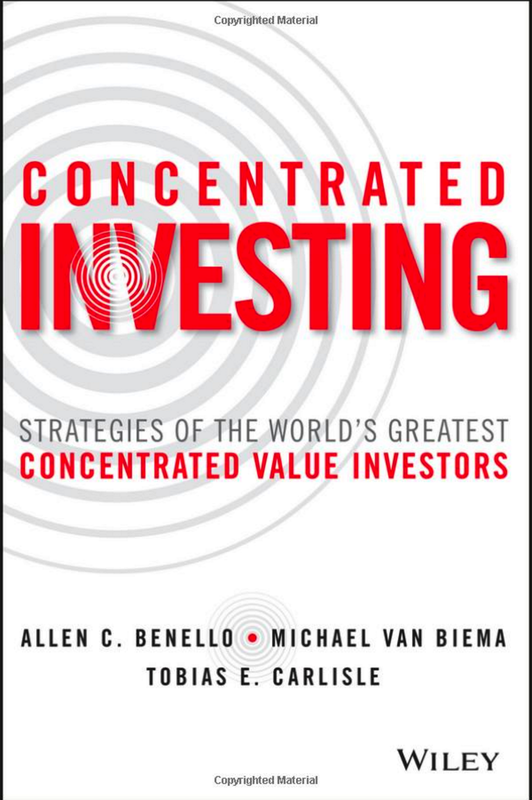 During the two year period under study, both account types chose from the same list of top ranked stocks based on the formulas described in The Little Book that Beats the Market. Greenblatt has conducted a great real-time behavioral investing experiment. Self-managed accounts have discretion over buy and sell decisions, while professionally managed accounts are automated. Both choose from the same list of stocks. So what happened? [The] self-managed accounts, where clients could choose their own stocks from the pre-approved list and then follow (or not) our guidelines for trading the stocks at fixed intervals didn’t do too badly. A compilation of all self-managed accounts for the two year period showed a cumulative return of 59.4% after all expenses. Pretty darn good, right? Unfortunately, the S&P 500 during the same period was actually up 62.7%. “Hmmm….that’s interesting”, you say (or I’ll say it for you, it works either way), “so how did the ‘professionally managed’ accounts do during the same period?” Well, a compilation of all the “professionally managed” accounts earned 84.1% after all expenses over the same two years, beating the “self managed” by almost 25% (and the S&P by well over 20%). For just a two year period, that’s a huge difference! It’s especially huge since both “self-managed” and “professionally managed” chose investments from the same list of stocks and supposedly followed the same basic game plan. Just as Montier (and Greenblatt) predicted, investors struggle to implement the Magic Formula. Discretion over buy-and-sell decisions in aggregate can turn a model that generates a market beating return into a sub-par return. Extraordinary! Greenblatt has to be admired for sharing this research with the world. Value investing is as misunderstood in the investment community at large as quantitative value investing is misunderstood in the value investing community. It takes a great deal of courage to point out the flaws (such as they are) in the implementation of a strategy, particularly when they are not known to those outside his firm. Given that Greenblatt has a great deal of money riding on the Magic Formula, he should be commended for conducting and sharing a superb bit of research. [The] best performing “self-managed” account didn’t actually do anything. What I mean is that after the initial account was opened, the client bought stocks from the list and never touched them again for the entire two year period. 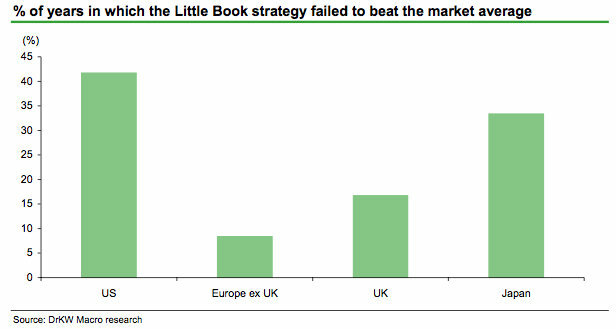 That strategy of doing NOTHING outperformed all other “self-managed” accounts. I don’t know if that’s good news, but I like the message it appears to send—simply, when it comes to long-term investing, doing “less” is often “more”. Well, good work if you can get it, anyway. Miguel: Let’s talk about the concept of seductive details…can you give us an example of how investors are trapped by irrelevant information? James Montier: The sheer amount of irrelevant information faced by investors is truly staggering. Today we find ourselves captives of the information age, anything you could possibly need to know seems to appear at the touch of keypad. However, rarely, if ever, do we stop and ask ourselves exactly what we need to know in order to make a good decision. Seductive details are the kind of information that seems important, but really isn’t. Let me give you an example. Today investors are surrounded by analysts who are experts in their fields. I once worked with an IT analyst who could take a PC apart in front of you, and tell you what every little bit did, fascinating stuff to be sure, but did it help make better investment decisions, clearly not. Did the analyst know anything at all about valuing a company or a stock, I’m afraid not. Yet he was immensely popular because he provided seductive details. All participants were provided with statistics (win record, halftime score), while half were additionally given the team names. Knowledge of names increased the confidence of basketball fans consistent with their belief that this knowledge improved their predictions. Contrary to this belief, it decreased the participants’ accuracy by reducing their reliance on statistical cues. One of the factors contributing to this underweighting of statistical cues was a bias to bet on more familiar teams against the statistical odds. Finally, in a real betting experiment, fans earned less money if they knew the team names while persisting in their belief that this knowledge improved their predictions. Click here to see the Simoleon Sense interview. 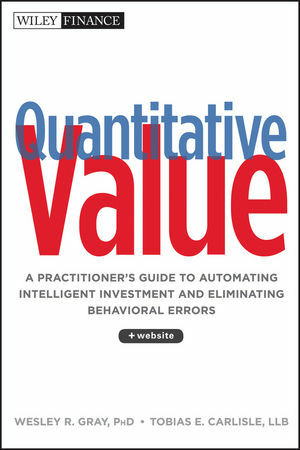 In his 2006 research report Painting By Numbers: An Ode To Quant (via The Hedge Fund Journal) James Montier presents a compelling argument for a quantitative approach to investing. 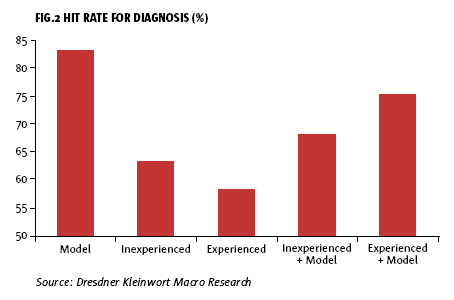 Montier’s thesis is that simple statistical or quantitative models consistently outperform expert judgements. This phenomenon continues even when the experts are provided with the models’ predictions. Montier argues that the models outperform because humans are overconfident, biased, and unable or unwilling to change. In 1968, Lewis Goldberg1 obtained access to more than 1000 patients’ MMPI test responses and final diagnoses as neurotic or psychotic. He developed a simple statistical formula, based on 10 MMPI scores, to predict the final diagnosis. His model was roughly 70% accurate when applied out of sample. Goldberg then gave MMPI scores to experienced and inexperienced clinical psychologists and asked them to diagnose the patient. 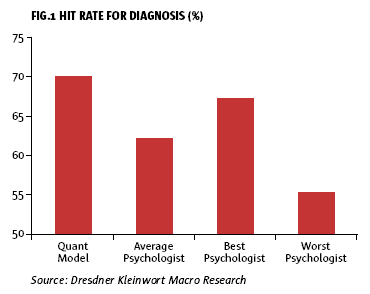 As Fig.1 shows, the simple quant rule significantly outperformed even the best of the psychologists. Even when the results of the rules’ predictions were made available to the psychologists, they still underperformed the model. This is a very important point: much as we all like to think we can add something to the quant model output, the truth is that very often quant models represent a ceiling in performance (from which we detract) rather than a floor (to which we can add). The simple statistical model outperforms the judgements of the best experts. The simple statistical model outperforms the judgements of the best experts, even when those experts are given access to the simple statistical model. Grove et al consider an impressive 136 studies of simple quant models versus human judgements. The range of studies covered areas as diverse as criminal recidivism to occupational choice, diagnosis of heart attacks to academic performance. Across these studies 64 clearly favoured the model, 64 showed approximately the same result between the model and human judgement, and a mere 8 studies found in favour of human judgements. All of these eight shared one trait in common; the humans had more information than the quant models. 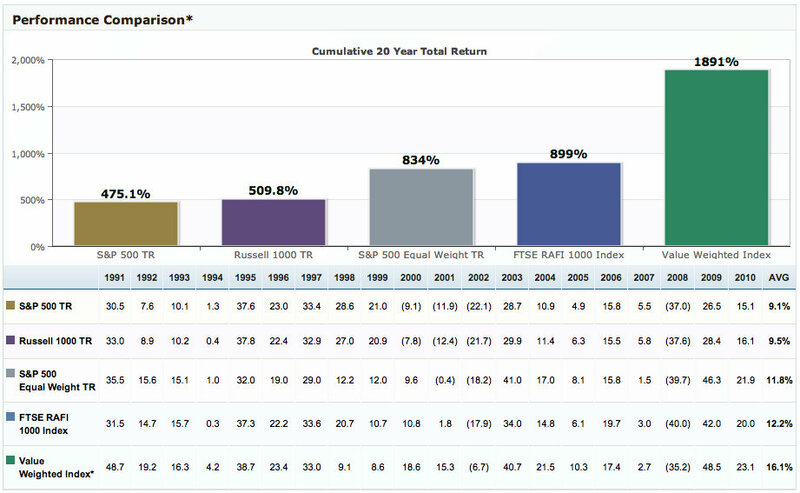 If the quant models had the same information it is highly likely they would have outperformed. As Paul Meehl (one of the founding fathers of the importance of quant models versus human judgements) wrote: There is no controversy in social science which shows such a large body of qualitatively diverse studies coming out so uniformly in the same direction as this one… predicting everything from the outcomes of football games to the diagnosis of liver disease and when you can hardly come up with a half a dozen studies showing even a weak tendencyin favour of the clinician, it is time to draw a practical conclusion. For instance, Yaniv and Kleinberger11 have a clever experiment based on general knowledge questions such as: In which year were the Dead Sea scrolls discovered? Participants are asked to give a point estimate and a 95% confidence interval. Having done this they are then presented with an advisor’s suggested answer, and asked for their final best estimate and rate of estimates. Fig.7 shows the average mean absolute error in years for the original answer and the final answer. The final answer is more accurate than the initial guess. The most logical way of combining your view with that of the advisor is to give equal weight to each answer. However, participants were not doing this (they would have been even more accurate if they had done so). Instead they were putting a 71% weight on their own answer. In over half the trials the weight on their own view was actually 90-100%! This represents egocentric discounting – the weighing of one’s own opinions as much more important than another’s view. Similarly, Simonsohn et al12 showed that in a series of experiments direct experience is frequently much more heavily weighted than general experience, even if the information is equally relevant and objective. They note, “If people use their direct experience to assess the likelihood of events, they are likely to overweight the importance of unlikely events that have occurred to them, and to underestimate the importance of those that have not”. In fact, in one of their experiments, Simonsohn et al found that personal experience was weighted twice as heavily as vicarious experience! This is an uncannily close estimate to that obtained by Yaniv and Kleinberger in an entirely different setting. It is worth noting that Montier identifies LSV Asset Management and Fuller & Thaler Asset Management as being “fairly normal” quantitative funds (as opposed to being “rocket scientist uber-geeks”) with “admirable track records in terms of outperformance.” You might recognize the names: “LSV” stands for Lakonishok, Shleifer, and Vishny, authors of the landmark Contrarian Investment, Extrapolation and Risk paper, and the “Thaler” in Fuller & Thaler is Richard H. Thaler, co-author of Further Evidence on Investor Overreaction and Stock Market Seasonality, both papers I’m wont to cite. I’m not entirely sure what strategies LSV and Fuller & Thaler pursue, wrapped as they are in the cloaks of “behavioural finance,” but judging from those two papers, I’d say it’s a fair bet that they are both pursuing value-based strategies. We find it ‘easy’ to understand the idea of analysts searching for value, and fund managers rooting out hidden opportunities. However, selling a quant model will be much harder. The term ‘black box’ will be bandied around in a highly pejorative way. Consultants may question why they are employing you at all, if ‘all’ you do is turn up and run the model and then walk away again. It is for reasons like these that quant investing is likely to remain a fringe activity, no matter how successful it may be. Montier’s now at GMO, and has produced a new research report called Ten Lessons (Not?) Learnt (via Trader’s Narrative).